Cresting out on 15,500 feet Rapina La, Southern Oregon University graduate Chelsilyn Ball soaks in the majesty of the high Himalayan peaks of Nepal. Ball is no ordinary Southern Oregon University alumnus. Graduating with a degree in Outdoor Adventure Leadership, she learned to inspire passion, drive, transformation, technical abilities, judgement, interpersonal skills, and the capacity to change the way people think, feel, and perform. In short, the OAL degree teaches students to lead any group, in any environment, to any goal. Ball’s purpose led her to Nepal where she now co-owns and operates Initiative Outdoors, a program helping underprivileged Nepali youth find meaningful professions in the outdoor industry through leadership training and technical skills development. Fortunately, she’s not alone. At this very moment, OAL majors at SOU are completing internships, practicum experiences, and gaining vital skills throughout the world in Ecuador, Mexico, Thailand, Myanmar, Vietnam and, of course, in our very own backyard of Southern Oregon. All of these students share a common thread: they love to explore and embrace the expeditionary mindset, ready to tackle the difficulties and enjoy the rewards of any grand expedition. One of the hallmarks of adventure education includes deep reflection. OAL students accomplish this by incorporating their personal adventures and life experiences with the foundations of adventure leadership ideology. They study the work of Kurt Hahn, the founder of Outward Bound, Mihály Csíkszentmihályi’s theory of flow, Earnest Shackleton’s epic history and contemplate the survival stories of mountaineer Joe Simpson. The aspiring explorers learn to record their own exploits through adventure writing, photography, log books, developing a personal web site and presenting their work in public venues. Students receive internationally recognized certifications and training in various outdoor activities, like scuba diving and rock climbing. As scholars, they attend international conferences, learning the latest theories and practices of their field and complete an in-depth research paper. OAL majors further test their skills and build confidence by completing an intensive quarter, spending over 40 days in the field. Each student also has the opportunity to plan and participate on an extended international expedition every summer. The skills OAL graduates possess transfer to practically any setting. SOU graduates are leading the charge in the outdoor recreation world, such as Victor McNeil, a mountain guide for Wallowa Alpine Huts, Alpine Ascents International, and executive director for the Wallowa Avalanche Center. According to the Outdoor Industry Association, the U.S. outdoor recreation economy generates annually $646 billion in consumer spending. In addition, outdoor recreation creates 6.1 million direct U.S. jobs. 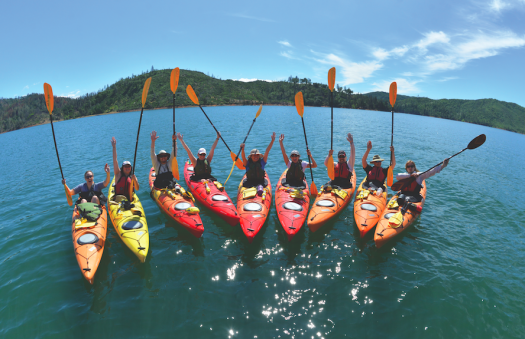 In Oregon, at least 68 percent of residents participate in outdoor recreation each year, which generates $21.8 billion in consumer spending, 141 thousand direct jobs, $4 billion in wages and salaries, and $955 million in state and local tax revenue. Another study by the Winter Wildlands Alliance, determined that the fastest growing segment of the snowsport industry centered around human powered sports such as backcountry skiing. Outdoor recreation is clearly big business, and politicians are taking note. In December of 2016, President Obama signed into law the “Outdoor Recreation Jobs and Economic Impact Act,” a bipartisan bill specifically designed to measure the economic impact of the outdoor industry. Here in Oregon, Senator Wyden has played a key role in removing roadblocks to outdoor recreation access by introducing the “Recreation Not Red-Tape Act.” During the last election, “Measure 99” passed overwhelmingly to fund Outdoor School for all 5th and 6th graders, making Oregon the only state to have dedicated funding for outdoor education. Oregonians love the outdoors and SOU graduates are paving the way for even more students to get involved. SOU alumnus Kacy Carlson, a Mt. Ashland ski patroller and a Central Medford high school teacher, has opened up adventure education opportunities as an alternative to traditional classes, giving high school students a chance to earn college credit in backcountry skiing, wilderness first aid, and avalanche rescue. 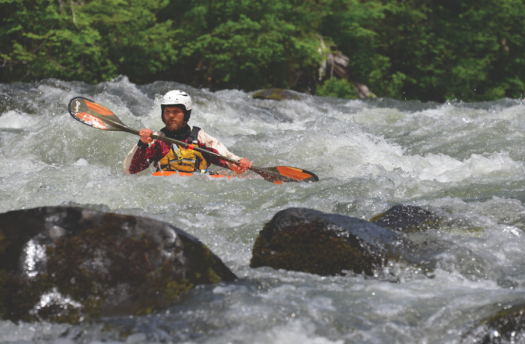 Rogue River Community College also offers courses in outdoor adventure that directly transfer to SOU’s OAL degree program. Recent trends show a bright future for the outdoor recreation world; however, adventure has never been about economics and politics. Adventure is about reconnecting to the primordial self and getting back to the essence of being human. We are all explorers at heart, yet somewhere along the road we became complacent, content to stay in our comfortable bubbles. People need adventure in their lives and we need qualified outdoor adventure leaders to show the way forward. If we are to tackle the challenges of today, we need trailblazers who embrace the explorer’s mindset. After all, life is one big adventure.